Kujtim Morina was born on 1972 in Has district/ Albania. He graduated from the University of Tirana for Maths (1994), the University of Shkodra for Law (2004) and has a Master’s in European studies from the University of Graz/Austria (2008). From 1999 to 2009, he worked with international organisations in Kukes region. 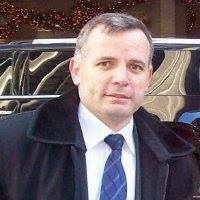 Since 2009 and onwards, he works in the Albanian diplomatic service. So far, he has published the poetry books: “Drunk under the fog”, 2007, and “Return of eyes”, 2010 and a short stories book “Next time” (OMSCA-1 2015). From his literary translations, it’s worthy to mention: “The Gulag Archipelago” Aleksandr Solzhenitsyn (Princi Publishings 2012) and the poetry books: “Song for my name” by Linda Hogan, (OMSCA-1 2014); “The soul dances in its cradle” by Niels Hav (Denmark), OMSCA-1, 2016; “Antology of Kuwait poetry” (OMSCA-1,2017) and “Persian Roses- an anthology of Iranian modern poetry”, published by Klubi i Poezisë, Tiranë, 2017. In English, his poems were published by the literary magazines: The Sound of Poetry Review; LAKEVIEW, International Journal of Literature and Arts; The Galway Review”; Prosopisia; etc. by the rising smoke of war. let it alone another human being. one arm strikes the other one. Go back to your own. deprived of enjoying their lives! confront their fate every day! are left with broken dreams! will lose its sway and soon decay. We should feed it with solid stuff. The lively flame to stand for hours. Then to make and remake it again. The hands can't be warmed in the dry ashes. thus, by divine spirit is furnished. Blood swashes rise from ground to the sky. What a huge disaster has happened there! ?